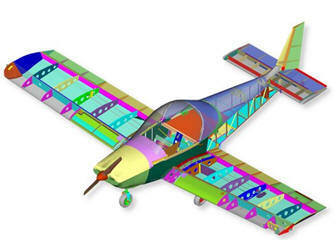 June 5, 2015 - The Federal Aviation Administration (FAA) is leading a global initiative with industry and other civil aviation authorities to develop a performance-based approach to airworthiness standards for Part 23 general aviation (GA) airplanes. Its a top priority for the FAA and the agency's work is the basis for similar efforts in Europe. The rewrite of Part 23 will set a standard that improves safety, enables innovation, streamlines the certification process and reduces costs by using international consensus standards to implement the regulations. The FAA and our global aviation partners are committed to streamlining the certification process for general aviation airplanes while enhancing safety throughout the world, said FAA Administrator Michael Huerta. The FAA is working on completing our proposal as quickly as possible. The FAA established an Aviation Rulemaking Committee (ARC) in August 2011 to revitalize general aviation safety worldwide. These airplanes range from small piston-powered airplanes to complex high-performance executive jets. The ARC included members from industry and government with observers from our international counterparts. The ARC presented its recommendations to the FAA in June 2013. Following the success of the U.S. aviation community's efforts, EASA recently published an Advance Notice of Proposed Amendment which outlines its approach to reorganizing their rules that follow the ARCs recommendations. The FAA supports EASAs regulatory approach, which aligns with the FAAs global initiative. The United States has the largest and most diverse GA community in the world with more than 220,000 aircraft including amateur-built aircraft, rotorcraft, balloons, and highly sophisticated turbojets. One of the FAAs top priorities is reducing GA fatalities, with a goal to reduce the GA fatal accident rate by 10 percent over a 10-year period (2009-2018).